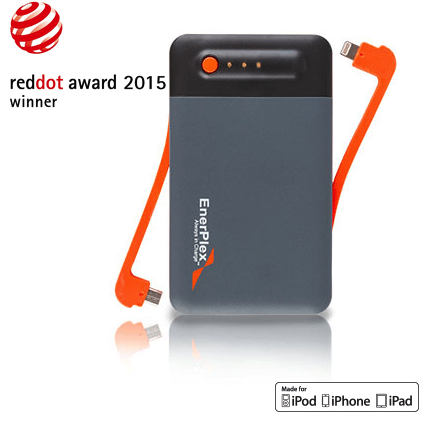 Today I’m looking at a power bank and portable charger for mobile phones and tablets called the EnerPlex Jumpr. 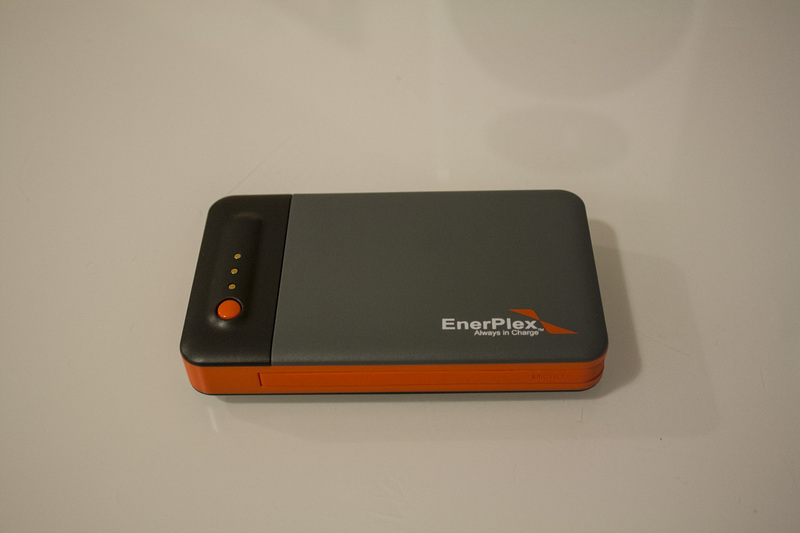 EnerPlex promise that it’s portable, capacious and convenient – and it even matches the orange theme of the site. Let’s put it to the test! 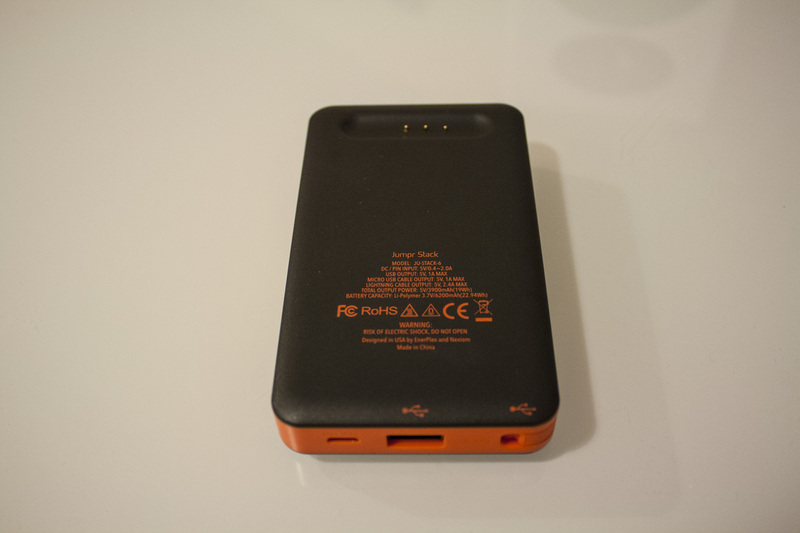 This particular model is the Stack 6, with 6200 mAh of battery power on board. That’s enough to charge most phones twice over, and with 2A of power you’ll be going at full speed too. 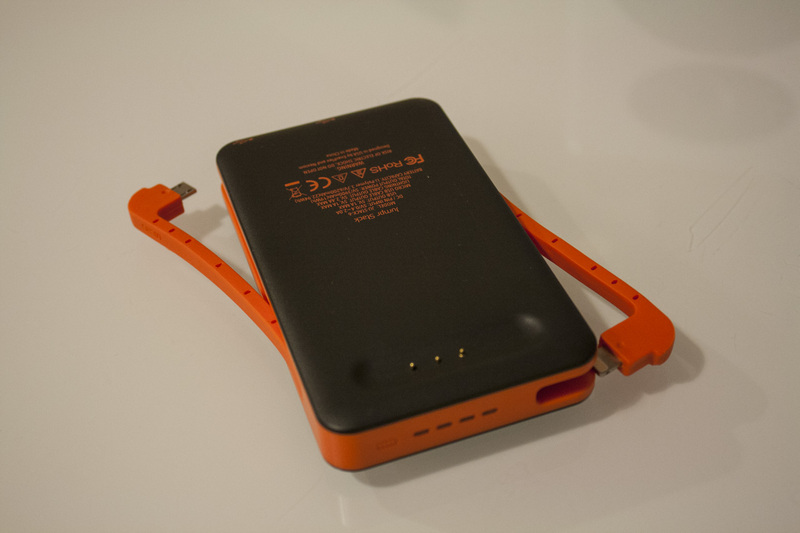 There are three output options – tethered micro USB and Lightning cables, and a USB port as well. This is incredibly convenient, as it covers 99% of modern phones with the two tethered cables, meaning you don’t have to bring a cable with you as well. 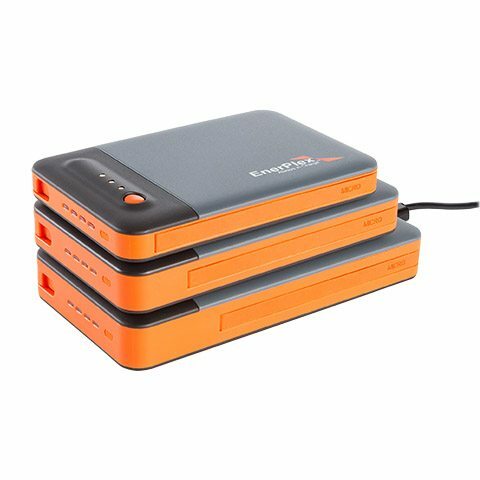 The idea here is that the Jumpr units can be stacked to create a combined unit with a much higher capacity. 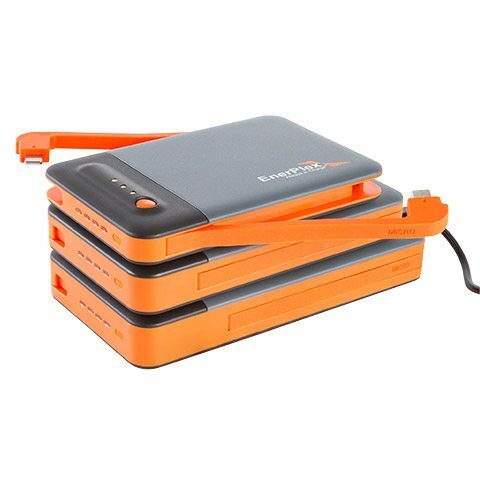 For example, in the images below you can see a Stack 3, Stack 6 and Stack 9 combined into a single unit, capable of providing a whopping 18,800 mAh of portable power. I have just the one unit, so let’s take a look at it and then I’ll give my impressions. 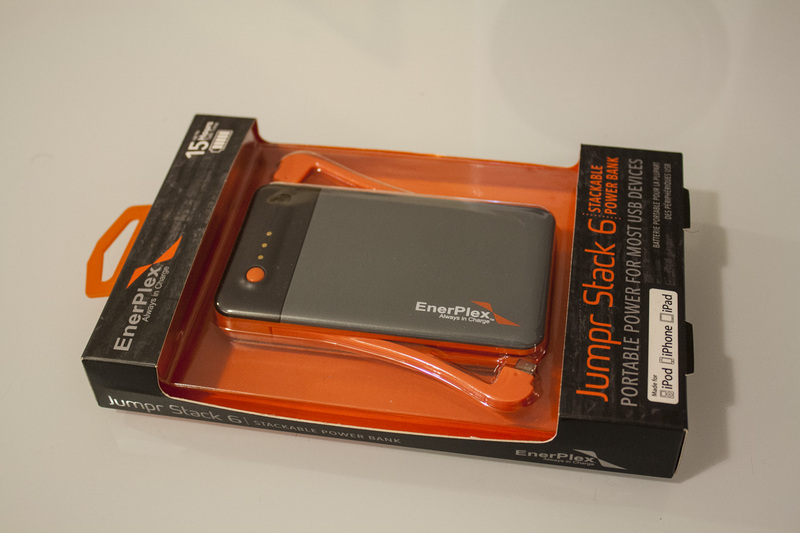 The Jumpr Stack 6 comes in a small cardboard and plastic box, with the power tendrils fully exposed and a nice orange-and-gray colour scheme. 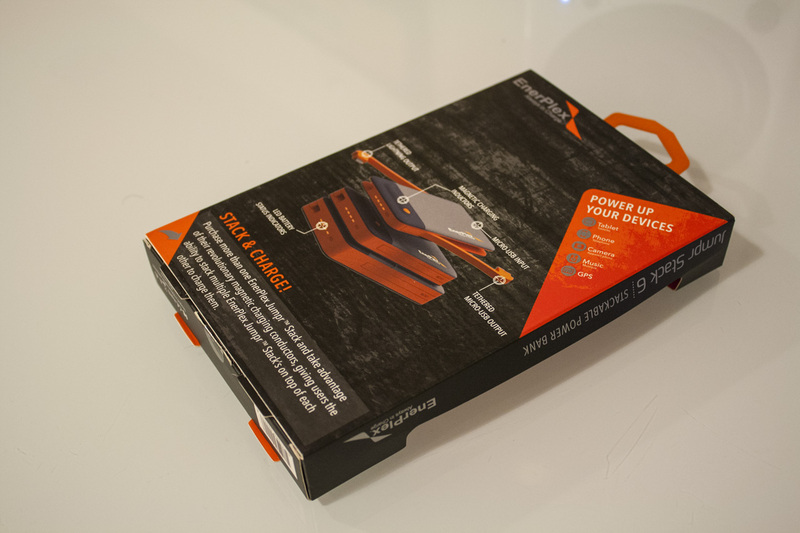 The back of the box shows off the stacking action, and lists the sorts of devices you might recharge. 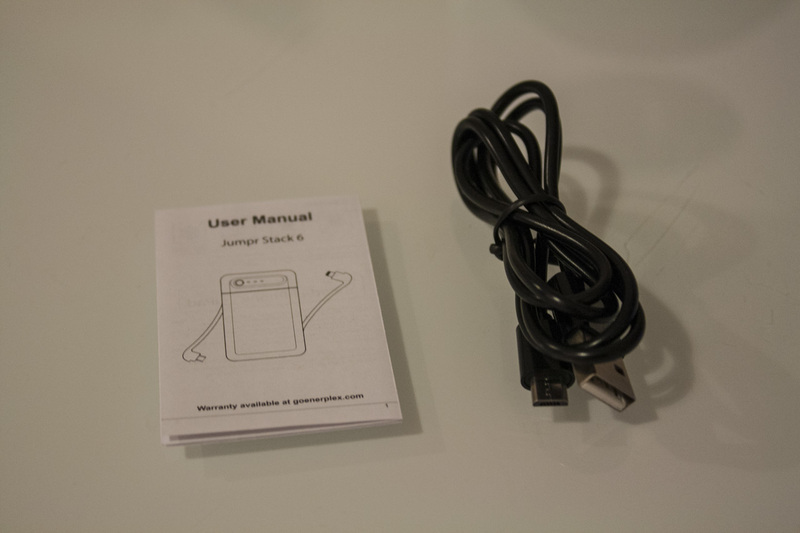 Inside is a paltry user manual (not that one is really needed) and a single micro USB cable, for charging the battery pack itself. The top of the unit is quite clean and tidy, with that same tri-tone grey and orange colour scheme. The button on the top is used to begin charging, with the gold contacts allowing the stacking to work. Arms out! You can see there’s a micro USB cable on the left, and Lightning on the right. 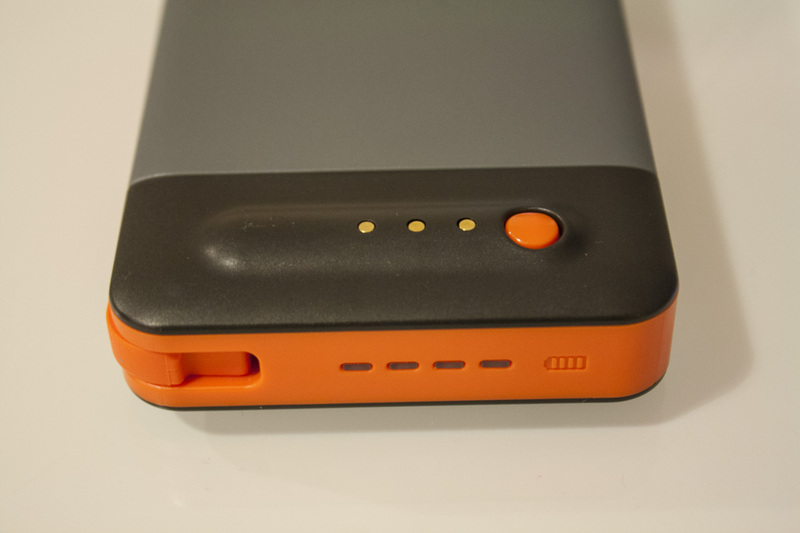 On one end, we have the additional USB port and a micro USB port for charging the battery itself. On the other end, we have a nice quartet of LEDs to show the level of the battery. The bottom has three gold pins (again, for the whole stacking thing) and some regulatory information and tech specs. We used the Jumpr Stack 6 for about a week, on several trips to London and Birmingham. We found the unit to be quite reliable, dispensing power with ease to both Android and iPhones. 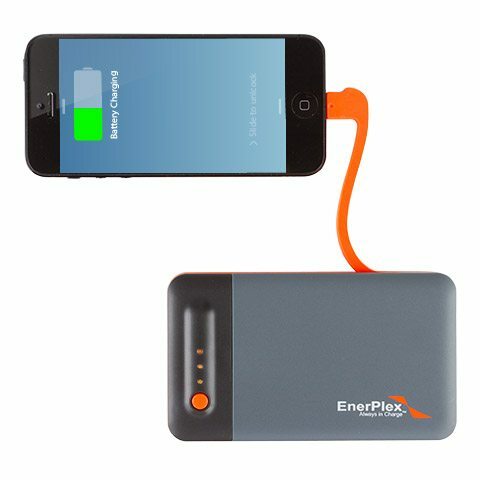 Charging was rapid, and the unit was never fully exhausted even when charged with powering up two phones over an extended weekend. The only small issue was that the short tethered cables made it difficult to prop up the phone while the battery was attached. Still, a minor flaw, and one that can be bypassed entirely by using your own longer cable and the USB port provided. 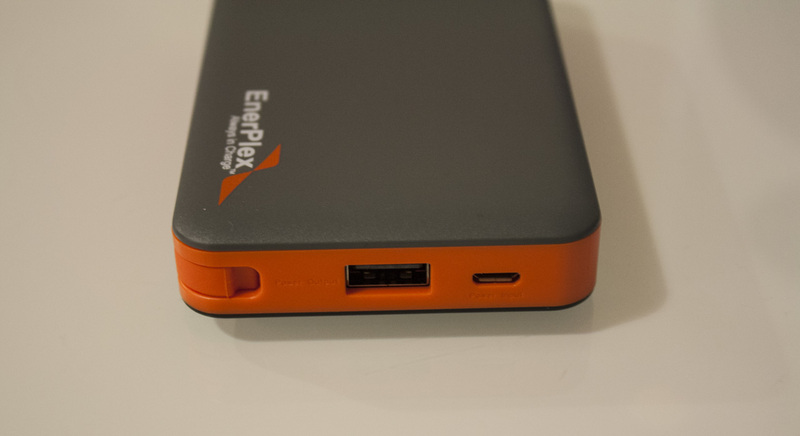 The Enerplex Jumpr is probably the nicest portable charger that I’ve used so far. The inclusion of both micro USB and Lightning cables is sensible, and is done in a beautiful way too. The colour scheme is agreeable, and the entire unit is reasonably slim and light – enough to fit into a pocket without trouble, for example. There’s little to fault about the design, and for that I award it top marks.